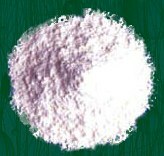 Mubychem Group, established in 1976, is the pioneer manufacturer of Zinc Stearate, Pharmaceutical, Fragrance & Flavor chemicals in India. Mubychem Group has several manufacturing facilities spread across Gujarat and Mumbai India and world wide contacts and toll manufacturers. We are exporting globally to countries like USA, Europe, UAE, South Africa, Tanzania, Kenya, Egypt, Nigeria, Uganda, Turkey, Mexico, Brazil, Chile, Argentina, Dubai, Indonesia etc. Zinc stearate [(C17H35COO)2Zn; Mr 632] may contain varying proportions of zinc palmitate [(C15H31COO)2Zn; Mr 576.2] and zinc oleate [(C17H33COO)2Zn; Mr 628]. 10.0 per cent to 12.0 per cent of Zn. Light, white or almost white, amorphous powder, free from gritty particles. Practically insoluble in water and in anhydrous ethanol. A. Freezing point (2.2.18): minimum 53 °C, determined on the residue obtained in the preparation of solution S (see Tests). B. Neutralize 5 ml of solution S to red litmus paper R with strong sodium hydroxide solution. The solution gives the reaction of zinc. To 5.0 g Zinc Stearate add 50 ml of ether R and 40 ml of a 7.5 per cent V/V solution of cadmium- and lead-free nitric acid in distilled water. Heat under a reflux condenser until dissolution is complete. Allow to cool. In a separating funnel, separate the aqueous layer and shake the ether layer with 2 quantities, each of 4 ml, of distilled water R. Combine the aqueous layers, wash with 15 ml of ether R and heat on a water-bath until ether is completely eliminated. Allow to cool and dilute to 50.0 ml with distilled water (solution S). Evaporate the ether layer to dryness and dry the residue at 105C. Solution S is not more intensely coloured than reference solution. Dissolve 0.5 g of the residue obtained in the preparation of solution S in 10 ml of chloroform R. The solution is clear and not more intensely coloured than reference solution. Shake 1.0 g with 5 ml of ethanol (96 per cent) R and add 20 ml of carbon dioxide-free water and 0.1 ml of phenol red solution R. Not more than 0.3 ml of 0.1 M hydrochloric acid or 0.1 ml of 0.1 M sodium hydroxide is required to change the colour of the indicator. Zinc Stearate is a compound of zinc with a mixture of solid organic acids obtained from fats, and consists chiefly of variable proportions of zinc stearate and zinc palmitate. It contains the equivalent of not less than 12.5 percent and not more than 14.0 percent of ZnO. A: Mix 25 g Zinc Stearate with 200 mL of hot water, add 60 mL of 2 N sulfuric acid, and boil until the fatty acids separate as a transparent layer. Cool the mixture, and remove the solidified layer of fatty acids: a portion of the water layer responds to the tests for Zinc. B: Place the separated fatty acids obtained in Identification test A in a filter wetted with water, and wash with boiling water until free from sulfate. Collect the fatty acids in a small beaker, allow to cool, pour off the separated water, then melt the acids, filter into a dry beaker while hot, and dry at 105 for 20 minutes: the fatty acids congeal at a temperature not below 54. Arsenic— The limit is 1.5 ppm. Lead— The limit is 0.001%. Alkalies and alkaline earths— Mix 2.0 g with 50 mL of water, add 10 mL of hydrochloric acid, boil until the solution is clear, filter while hot, and wash the separated fatty acids with about 50 mL of hot water. Render the combined filtrate and washings alkaline with 6 N ammonium hydroxide, add ammonium sulfide TS to precipitate the zinc completely, dilute with water to 200 mL, mix, and filter. To 100 mL of the clear filtrate add 0.5 mL of sulfuric acid, evaporate to dryness, and ignite to constant weight: the weight of the residue does not exceed 10 mg (1.0%).